Seriously, where did January go? In fact where did December go? Since September when the kids got back to school, the time has just flown by. This month and next month are absolute insanity, but we have a break in April, so far, before May and June get crazy again. Yesterday, was my Jamberry party and I had a great time with my friends and had a perfect reward day! We are bracing ourselves for yet another snow storm. If you have followed along you know that we got almost 30 inches of snow last week and tomorrow we are looking at another foot. We can no longer see the fence between our house and the neighbors. It is crazy! We are used to having a lot of snow in Maine, but not all at once!! This will make 3 storms in less than a week! I will post some pics after this storm! Breakfast (meal 1) - Protein Shake with melons, pineapple and strawberries leftover from the fruit salad I made yesterday. This was really good! Lunch (meal 3) - Turkey roll ups, my own creation. Recipe coming soon! Meal 4 - Protein shake with a side of almonds - if you read this, you know I am skipping peanut butter this week. I need to withdraw from peanut butter goodness because I am eating far too much of it! Dinner (meal 5) - I may be going to dinner with a friend, but at this point it is tentative due to the weather. If I don't go out to dinner, I will have leftover Grilled chicken on a salad. Meal 2 - Egg white sandwich made with egg, tomato and ezeikel english muffin. I will make this ahead and bring it with me on the go! Lunch (meal 3) - Buffalo Garlic Chicken Medley, made with extra starchy vegetables and no rice! Dinner (meal 5) - Chicken Fajitas! I had so many rave reviews from my husband, I am going to make it again! I have a meeting so this will be super quick to throw together! Meal 2 - Egg White omelet or an on the go shake with a side of almonds, if I end up being out during this time! Meal 4 - Protein shake with a side of almonds. Dinner (meal 5) - Leftover Fajita chicken on a salad! This will be amazing! Meal 4 - Protein Shake w/handful of almonds on the side. Dinner (meal 5) - Tuna patties - a sweet reader gave me this recipe and I can't wait to try it! Lunch (meal 3) - Buffalo Garlic Chicken Medley with extra starchy vegetables instead of rice! Dinner (meal 5) - Leftover tuna patties on an ezeikel english muffin! Hopefully, we like these! Breakfast (meal 1) - Protein shake with anything I want in it! Meal 2 - Whole egg omelet with veggies and cheese! Lunch (meal 3) - Subway or Amatos? Dinner (meal 5) - Pizza! They are delicious and so easy! Thanks for stopping by! Stay safe in all the snow. So far this winter we've had less snow than usual. Are we going to skip it all together or get dumped on in March! We have gotten most of our snow in the last week, so who knows!! I really need to start meal planning. Looks like you are doing a great job! It can be a lot of work, but makes such a difference the rest of the week! Good luck! I love turkey roll ups! These are great! Can't wait to share! There are some tasty things on this menu! 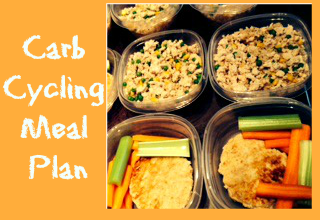 I love meal planning, thanks for sharing yours. I envy people who can sit down and make a meal plan. I could plan and plan and plan but I can never predict how my day will go or what will happen. I've never had a tuna patty. When you try it post it so I can try! Jamberry is so fun! and kudos to you for the planning organization! It's not snowing at all in Utah this winter which is super weird. I'm not complaining at all. I hate the snow! I love how organized you are. I might have to borrow some of your recipe ideas. I've never been great at meal planning but you are giving me some hope - and a lot of inspiration! Thanks so much for sharing your journey!